Edile T shirt is so tempting with its endless softness. 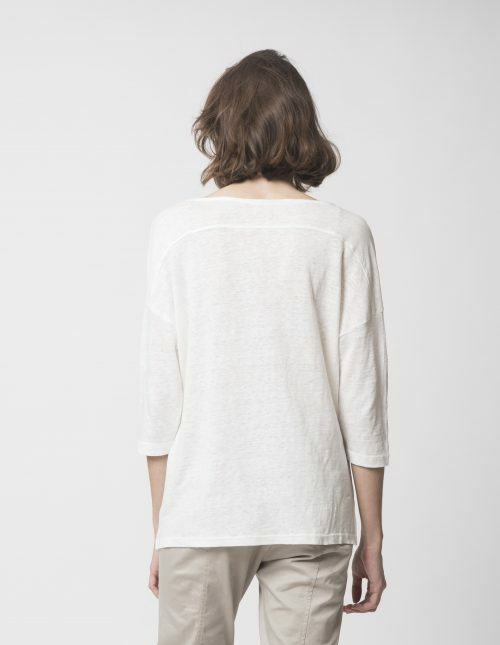 In a loose and simple cut it’s made in super flowy soft viscose knit, with a wide boat neck detail in white viscose. 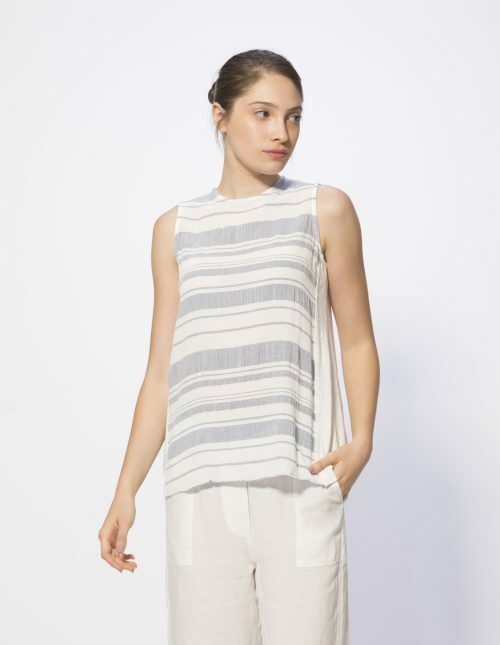 Note the special details – the short sleeve is place with contrasted stripes, and inner hem detail in white voile. This top is so comfy and cool, you don’t feel like taking it off.